Letter From A Stranger wasn’t what I had hoped it would be. I don’t know if I went into it with too high of an expectation, but it just fell flat for me. The opening scene was engaging and I was excited to see how this mysterious letter would effect the lives of the recipients, but it just didn’t come across as believable to me. For one, if I lost my grandmother I would insist on visiting her grave. Did the twins not even think to ask where their grandmother was buried? It just didn’t seem real that they would have had NO idea that their grandmother was actually still alive. I also found the search in Istanbul frustrating. It dragged on and on and then, Justine comes across her grandmother by pure chance rather than through the efforts of her search. It was quite a bit of a let down. Justine’s relationship with Michael felt forced and awkward. I have nothing against love at first sight, but it just didn’t click for me. It may have been the overly formal dialogue that is used throughout the course of the book. I don’t know anyone who actually talks the way these characters do. The history of the grandmother’s life is by far the most interesting part of the book, it was just a shame it took over half of the book to get to it. I wish it had been the grandmother telling the story rather than Justine reading about it from a notebook. It could have felt so much more involved than it did. In the end, though, I don’t mind that it was read rather than listened to because it was quite entertaining. 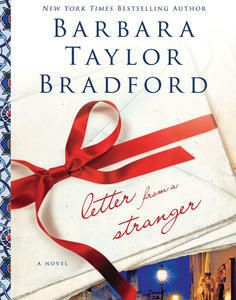 Overall, I don’t think it’s a book I will revisit again, but I will definitely give one of the other twenty-five titles by Barbara Taylor Bradford a try to see how they compare. I’m hoping they shine a bit brighter than this one. Book Review | What Would the Founding Fathers Think? Came across this review while seeing if I was simply… er, off for not liking this book. Gotta say, I think we agree, but you’re a whole lot less vitriolic.